We’re consolidating our blogs into one platform on Lens & Pen Press (the parent platform if you will) where we will continue to discuss our books–the Beautiful and Enduring Ozarks, the James Fork of the White (coming 2017), Mystery of the Irish Wilderness and See the Ozarks–and many other favorite topics like the Ozarks and water resources. Please join us there! 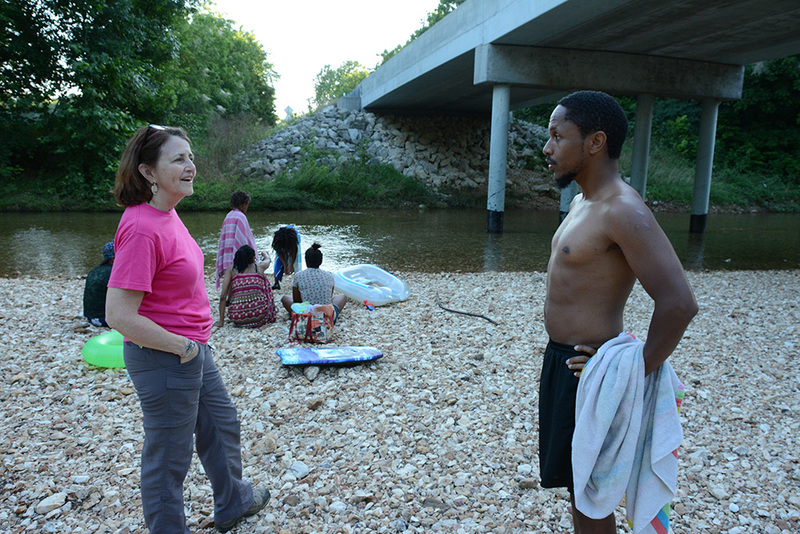 COMING IN 2017: JAMES FORK OF THE WHITE: Transformation of an Ozark River. 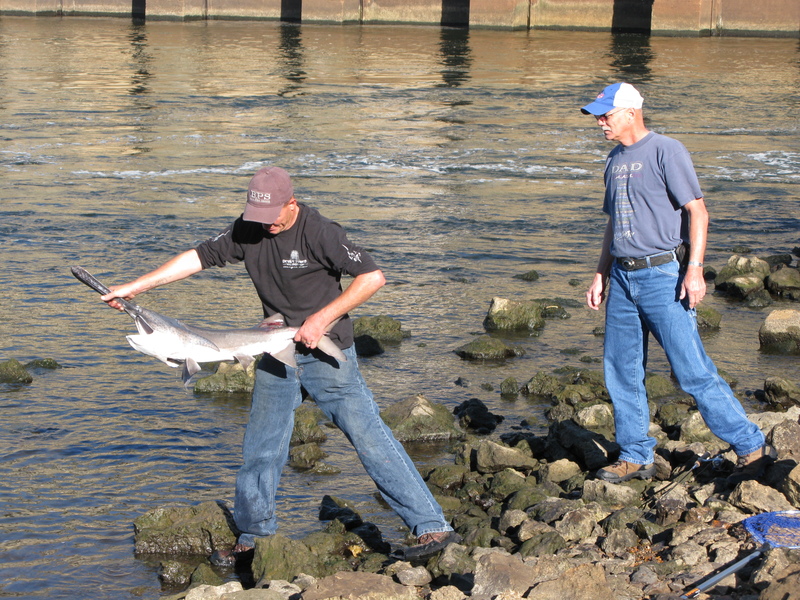 Josh Rouse writes a detailed examination of the status of #paddlefish reproduction and management in #Kansas, #Oklahoma, and #Missouri. 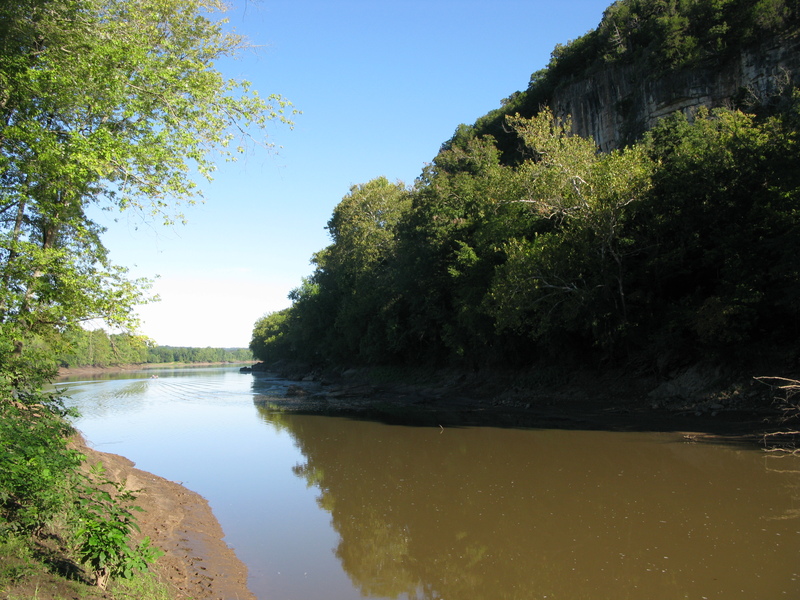 The #Marais_des_Cygnes River in Kansas is the upper reaches of the #Osage_River of Missouri (see Damming the Osage for the story of why the name changes at the state line). Neely offered Grand Lake in Oklahoma as an example of a highly productive system. He said paddlefish grow faster in that body of water than almost anywhere else in the world because of the high availability of food. 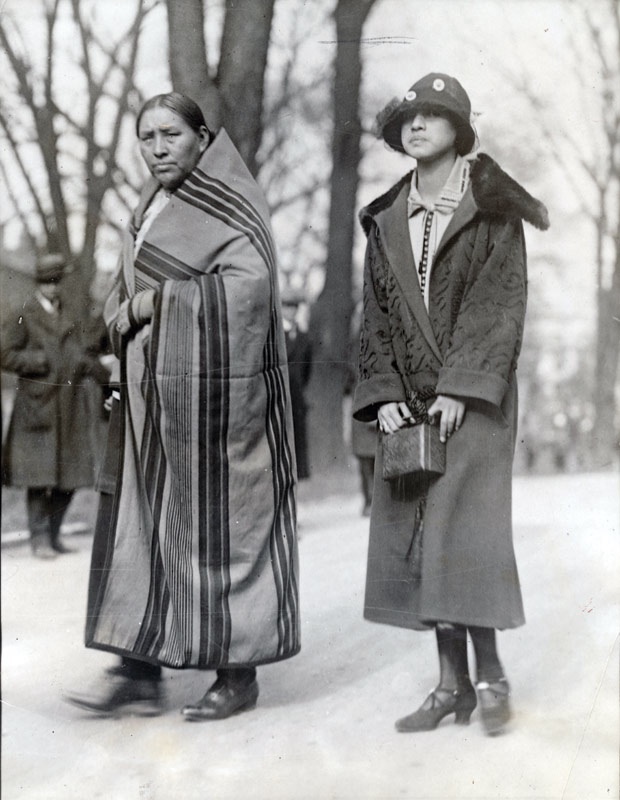 When we published this photograph of Osage Chief Red Eagle’s Wife and Daughter we speculated that the Chief referred to was Paul Red Eagle. Recently Michael Snyder, author of a soon-to-be-released biography of John Joseph Mathews set us straight. Mathews’ account of the funeral of Red Eagle, which we quoted, described final ceremonies, not for Paul Red Eagle (as we speculated), but for “Chief Henry Red Eagle, who served as tribal councilman twice, and was the assistant principal chief from 1910-1912, when John Joseph’s father, William, was on the tribal council.” Paul Red Eagle, per Mr. Snyder, was the son whose lament so moved Mathews. Recently we finished researching the proposed and controversial Army Corps of Engineers County Line Dam for our upcoming book on the James River. This 1970s dam would have created a 14,000 acre multipurpose reservoir on the James, ten miles east of Springfield. The entire lake would have been in Webster County, but one end of the dam would have been just a few hundred yards from the Greene County line. One of its multi-purposes was to supply the city with water. A combination of landowner ire, environmentalist objections, and a poor benefit/cost ratio killed the project. During the turmoil the city made other plans for future water needs. A recent Sunday afternoon, we set out to Webster County to survey the countryside that would have been inundated by that project. The upper James is quite an attractive stream but there is virtually no public access. The creeks that flow into it are typically chert-floored, crystal clear Ozarkian streams. Some have access where roads cross them. Follow Lens & Pen Press on Twitter and like us on Facebook. By G. A. Moulder, Linn Creek, Mo. Unsent. 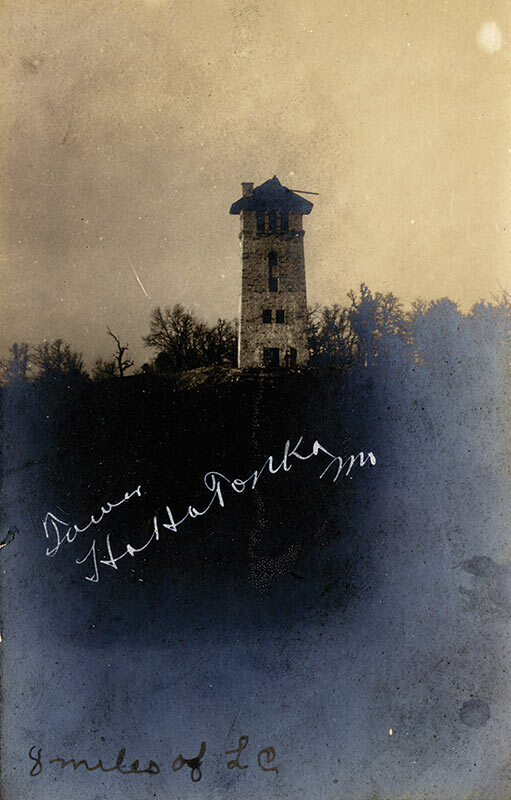 Stone Water Tower, 80 feet high, at Robert M. Snyder’s castle retreat above the Osage River. Water was pumped from the spring far below to a tank at the top of the tower. Besides holding the water tank above the house and grounds to facilitate gravity feed to supply the water system of the castle. The Moulder family, since the most numerous and prominent in the county, first arrived in 1837. Judge G. W. Moulder, the first of these, came to Lincoln county in 1830, and to Camden (then Pulaski) in the year named, buying a farm on the Niangua, eight miles above Linn Creek, where he lived nearly fifty years, and died in 1886. He was one of a family of twelve children, and was afterwards joined by three brothers, Valentine, Silas and Rufus, and by two sisters, Rebecca Capps and Elizabeth Doyle, the latter of whom is still living, on Prairie Hollow, the only surviving member of her father’s family. Judge Moulder had six sons, William G., John B., A. F., Joseph C., V. P., and T. H. B., all of whom served their country during the late war. 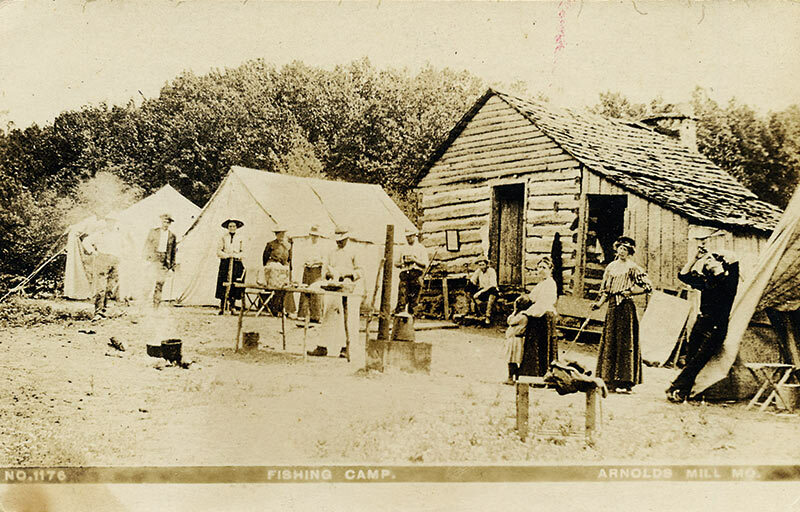 Arnhold’s Mill was a commercial mill site certainly, but also an early fishing camp/resort on the Niangua River in Camden County not far from Ha Ha Tonka’s springs. 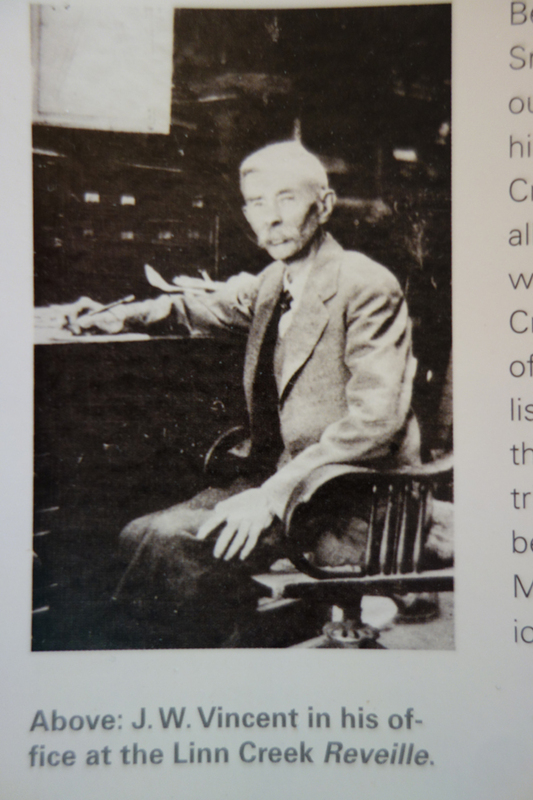 In 1896, J. W. (Joshua Williams) Vincent, editor of the Linn Creek Reveille, published a history of Camden County he had compiled by interviewing early settlers. In it he stated: “The Arnhold Mill, probably the most noted in the county, was founded in 1833 by a man named Kieth.” George and Dorotha Arnhold bought what by then was called Cleman Mill in 1878. 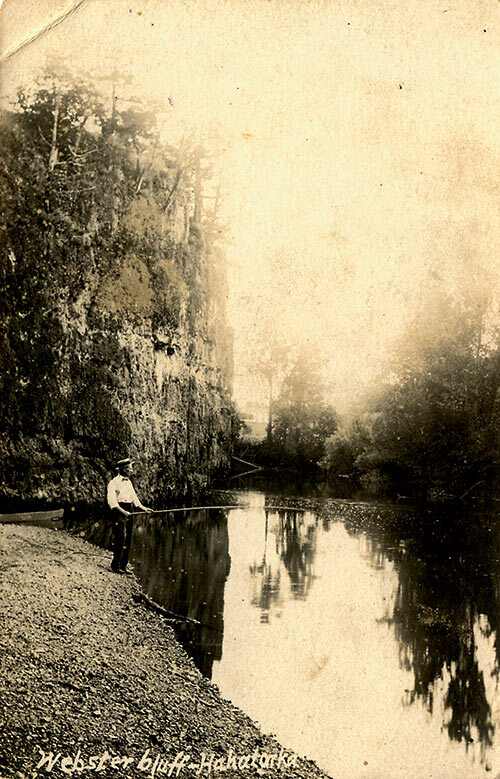 Its scenic location, abundant game, good fishing and congenial owners attracted sportsmen from across the state. Eventually, cabins were built on the nearby hills to accommodate visitors who showed up in season. It was a family-friendly resort as evidenced by the women and child in this photo. A party consisting of Dr. A. H. Brookshire and wife, W. D. Harryman and wife, J. W. Powell and Henry Emmett of Wheatland, W. C. Farmer of Collins, J. H. Morgan and family, J. K. Moore and family, J. W. Robertson, Chas. Manuel, C. M. Bentley, S. S. Anderson and Ray Creed of Hermitage, left here Monday for Arnholt’s mill, Camden County, where they will spend a week fishing, hunting, camping out, and having a good time generally. A couple of other stories came to light as well. The Index, Hermitage, Mo, May 6, 1897, remarked on the weekend fishing trip of Squire E. R. Calkins to Arnhold’s mill where he gained some weight. “He claims fish is the greatest brain food a man can eat.” The Morgan County Republican (July 18, 1907) noted that Perry L. Gold and Joe Gold of Pittsburgh, Pa., and Loyd and Clarence Lumpe and Charles Moser of Versailles, Mo., spent a week at the mill returning with a 31-pound catfish. See our earlier post for more about the tribute sportsmen erected for the Arnholds. The site of Arnhold’s Mill is now under the waters of Lake of the Ozarks. Little record remains of early sporting activities on the Osage River, but that doesn’t mean the area wasn’t utilized. These real photo postcards provide scarce evidence of those days. No identification on the card of the photographer or where it was published. Jas. Bruin. Linn Creek. Mo. Unsent. The caption on this vintage image seems to indicate that at one time Webster Bluff may have been part of large holdings of the Snyder family, known as Ha Ha Tonka. A Karst masterpiece of the Ozarks, Ha Ha Tonka – a more dramatic complex of collapsed cave, sinkholes, cliffs than any similar area – fascinated not only wealthy Kansas Citians like the Snyders, whose estate encompassed 5,400 acres but local people as well. And it still does. 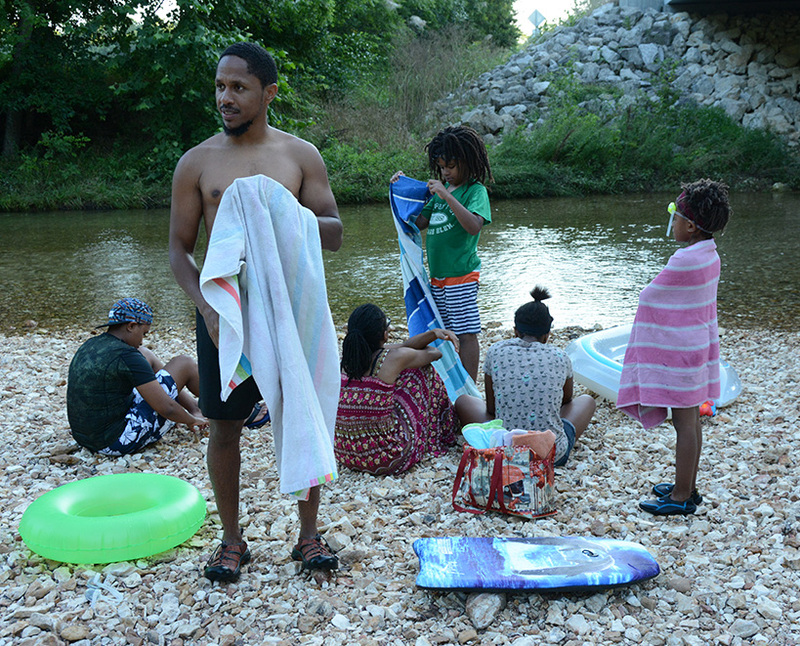 Ha Ha Tonka is an extremely well-attended state park today, southwest of Camdenton. This forested area contains savanna, glades, and old fields. Facilities and features include boat ramps, an unmanned firearms range, fishable ponds, several intermittent streams, and two permanent streams (Niangua River, Jakes Creek). . . . Lead Mine Conservation Area contains many excellent examples of dolomite glade communities, oak-hickory uplands, and clear running springs. One of those springs is named Webster as well. High Water Linn Creek Mo. Real Photo Postcard by J. W. Farmer, Linn Creek, Mo. probably around 1920. Unsent. The Osage could play havoc with your plans. Flooding was a regular event in Linn Creek but it didn’t seem to deter people from living there. Floods were a dramatic and photogenic affair. Even today, a flood brings out the photographers. An obvious question comes to mind: what piece of dry ground was the photographer standing on? Perhaps he was precariously perched on another boat? It’s a great image of a watery world. Hardly a square foot of terra firma is showing! 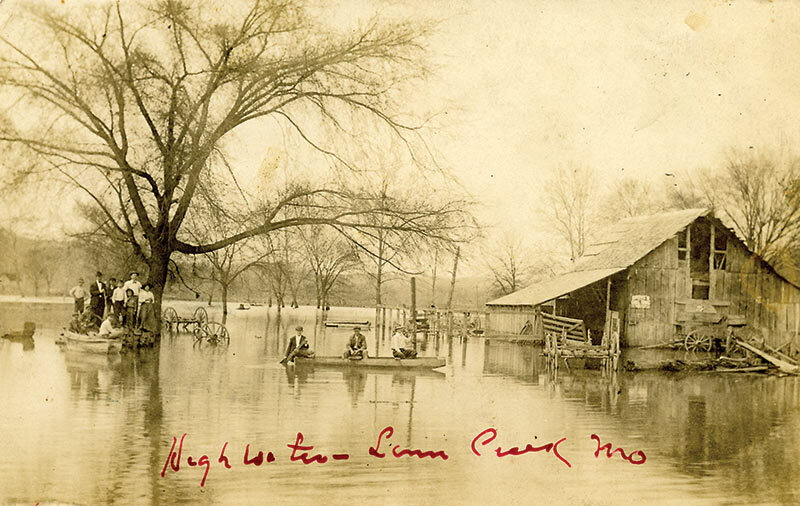 We’ve posted a number of flood scenes of Linn Creek on this blog. Perhaps several were of a single event, but Linn Creek was hit with rising waters more than once. Despite fairly frequent incursions of the Osage into the town’s streets and homes, the editor of the city newspaper, The Reveille, railed against building Bagnell Dam. J.W. )Vincent understood full well that occasional spring rises were better for the community than permanent inundation of their homes and the most productive land of the river bottoms. Before coming to Missouri in 1866, J. W. Vincent’s father, J. S., had worked for Horace Greeley, fought in the Mexican War, been wounded twice by Indians, dug for gold in California, and married an Irish girl in Milwaukee. An 1889 county history classified the newspaper he founded as a “spicy journal in the interests of the Republican Party.” The son (J. W. ) bought the Reveille from his father in 1880 and edited it until his death in 1933. Note the folks in the canoe upstream from this icy dam. George and Dorotha Arnhold bought Cleman Mill on the Niangua River in Camden County in 1878. Its scenic location, abundant game, good fishing and congenial owners attracted sportsmen from across the state. Arnhold’s Mill became an early sportsmen’s resort. Such was his popularity when George Arnhold died in 1896, sportsmen commissioned a monument, which was carved in Scotland and delivered to Versailles in 1899. More than 500 people attended the dedication ceremony. The inscription says: “Erected in the memory of Dorotha Arnhold and George Arnhold by many fishermen friends as a tribute to their unlimited generosity.” For more details about Arnhold’s Mill see Dwight Weaver’s book, History and Geography of Lake of the Ozarks, Vol. 1. 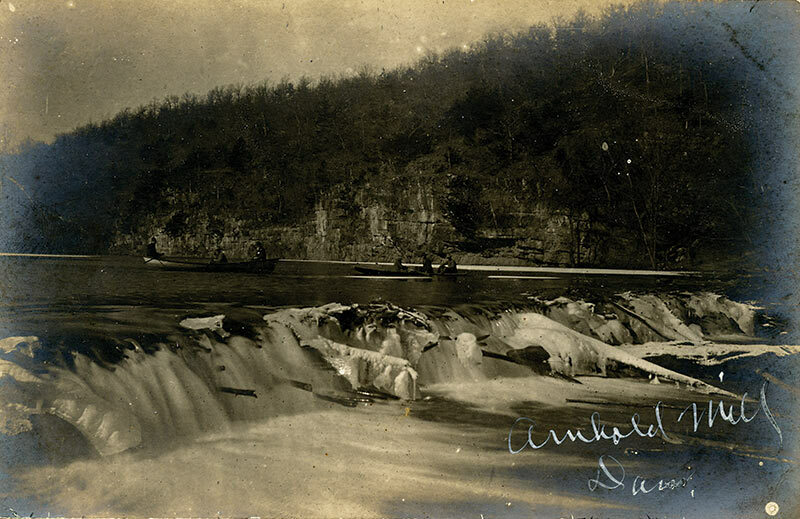 Located on the Big Niangua two miles upstream from today’s Niangua bridge, Arnhold’s Mill and the adjacent outbuildings and houses were covered by the waters of Lake of the Ozarks when Bagnell Dam closed.